Compression is a technique to reduce the size of bunch of files stacked together. Archiving is a method to make single file of multiple files and folders. This is a process of collecting the files which have to be compressed and make a single file out of them, that is called archiving. An Archive is made using "tar"(Tape Archive Command). Above command makes as an archive "example.tar" & puts all the files in current directory in it. 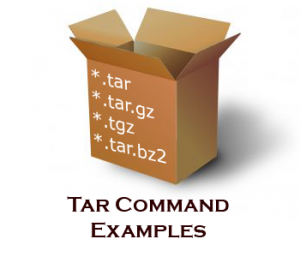 Above command makes a compressed file example.tar.Z in the current directory. To compress the file Gzip tool is used..
To Uncompress the file Gunzip tool is used.. Above command makes a compressed file example.tar.bz2 in the current directory.